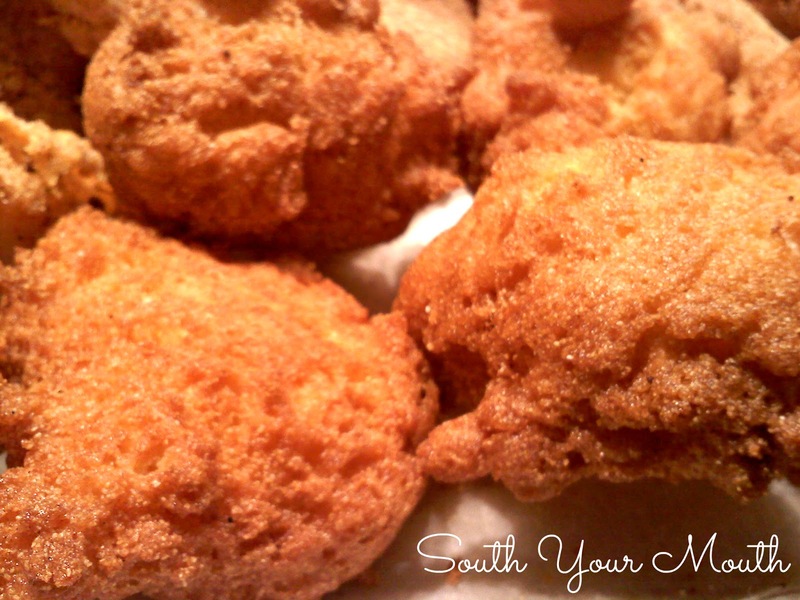 An authentic Southern recipe for Hush Puppies made with cornmeal and onions. 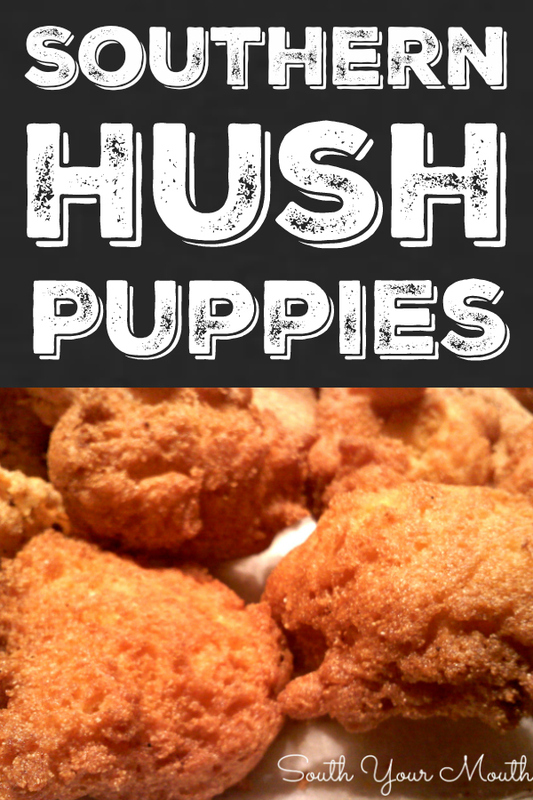 There are lots of theories about the origin of hush puppies. Most of those theories have to do with frying fish. Though I personally don’t remember this, my mom tells me that folks used to serve cornbread when they fried fish. 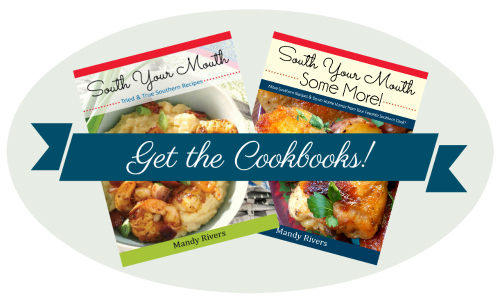 Her theory is that when it got to be eating time, somebody, sometime, somewhere slapped their head and realized they’d forgotten to bake the cornbread so they just fried up dollops of the batter in the hot fish grease. Seems legit. I've also heard that folks would mix up a tad of the fish fry with some milk to cook quickly along side the fish so that they could quiet the begging dogs that would surely be hanging around when fish was being fried. This too seems legit since folks often fry fish outside. I think once upon a time a frugal wife took a look at all the fish fry that was left when the fish were cooked and, not wanting to waste it or the conveniently hot grease, added an egg and some milk to the fish fry and cooked it up. Some people like hush puppies on the sweet side. If you fall into that camp, double the sugar in my recipe. Enjoy! Heat a minimum of 4 inches of oil in a deep skillet or wide pan to 350 degrees (medium-high heat). Mix cornmeal, flour, seasoned salt and sugar in a medium bowl. In a separate bowl combine eggs, buttermilk and bacon grease or butter and mix well. Slowly add wet ingredients and minced onion to cornmeal mixture, stirring by hand. Stir until just combined. Using a teaspoon, drop heaping spoonfuls of batter into hot grease. Cook hush puppies until golden brown (approximately 4-5 minutes), turning once. Hush puppies will often flip over on their own when the bottom side is ready. **substitute melted butter for bacon grease if necessary then ask the Lord for forgiveness for throwing away your bacon grease.